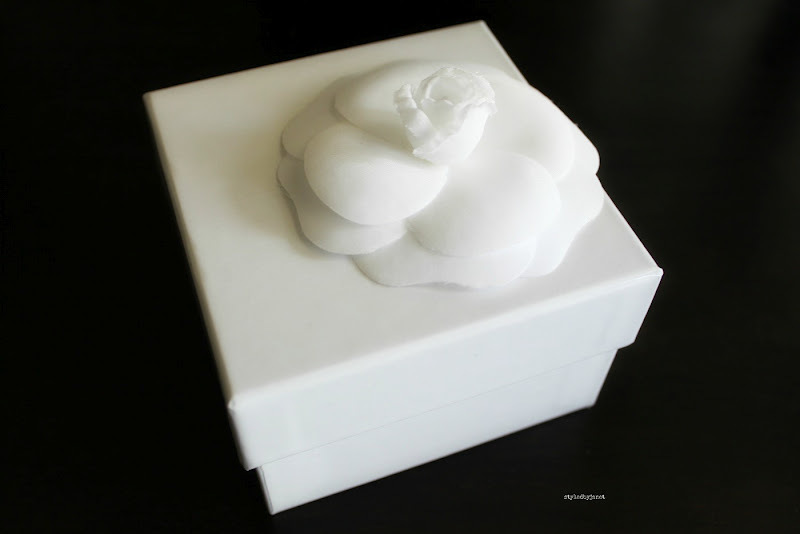 Can you feel the rush of adrenaline and my excitement as I opened this beautiful white box with a Camellia flower? To discover not only CHANEL, but VINTAGE CHANEL?!?! No offence to hubby, but how does a guy know that every girl wants VINTAGE CHANEL? Ok, I need to start giving him a little more credit. 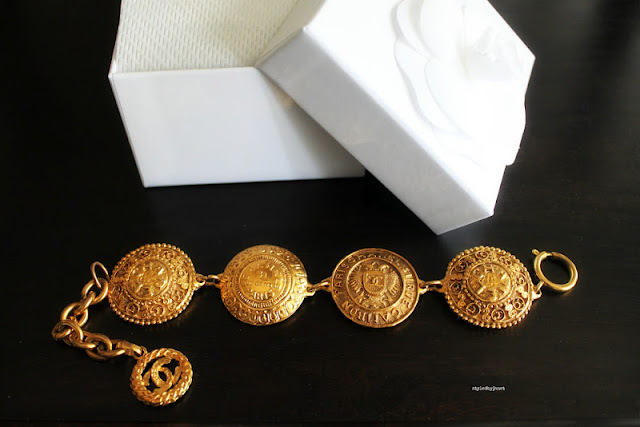 Anyways, let's get back to my bracelet...Look at how yellow the gold is! Look at the uniqueness of each medallion! Look at how perfect it would be on my wrist!!! 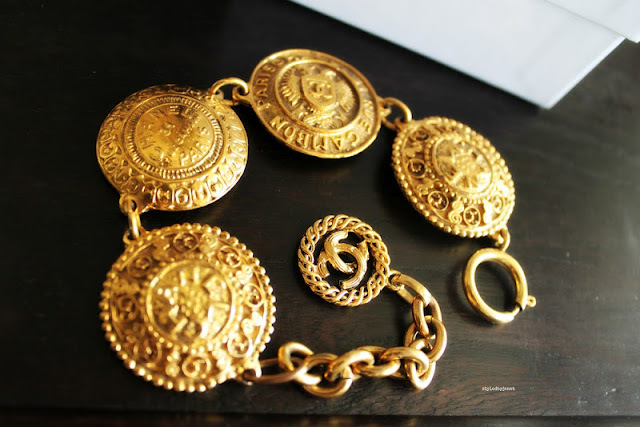 I only dreamt of something like being passed down from my mother (and I really mean "dreamt of" because my mom doesn't own any vintage Chanel given that she grew up in a communist country...there was barely food!). Wow !! What a lovely attention Janet !!! This bracelet is amazing & unique! !